Italy’s foreign minister expressed his country’s support to peace over Nagorno-Karabakh as he addressed the problem of frozen conflicts at a joint press conference with Armenian Foreign Minister Edward Nalbandian. Noting that his country is taking over the OSCE presidency in 2018, Paolo Gentilioni said that the country will keep the issue under spotlight. “Italy insists on a peaceful and diplomatic settlement of the conflict. We do not absolutely want any war operations in this region. We wish success to the activities of the [OSCE] Minsk Group,” he said, meantime expressing hope that Italy and Armenia will continue the cooperation in different areas. The Italian official is in Armenia as part of a regional visit. He arrived in Yerevan from the Georgian capital Tbilisi where he had meetings with high ranking officials. 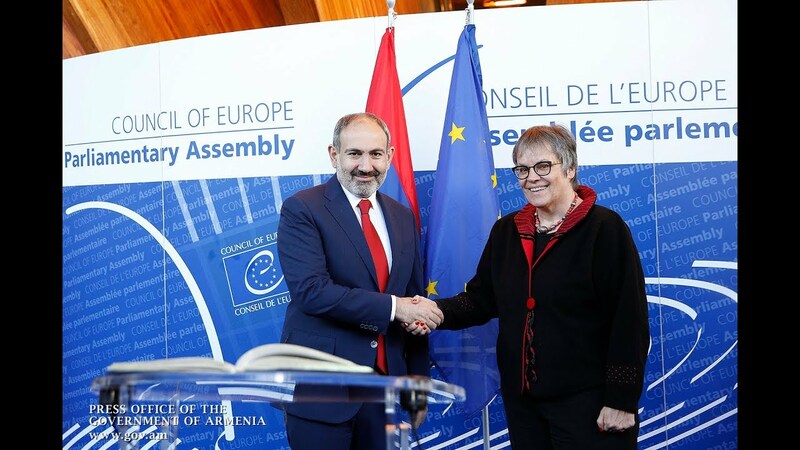 After private talks with Armenia’s top diplomat earlier today, the two officials signed a joint statement on the preservation and restoration of the cultural heritage in Armenia.